You are here: Home / Craft / Is It Time You Became A DIY Pro? Is It Time You Became A DIY Pro? When you love all things interiors, it’s only natural that you’re going to want to try your hand at a few different things around the house. But it’s safe to say that we’re always more comfortable doing certain things, and not so confident with others. 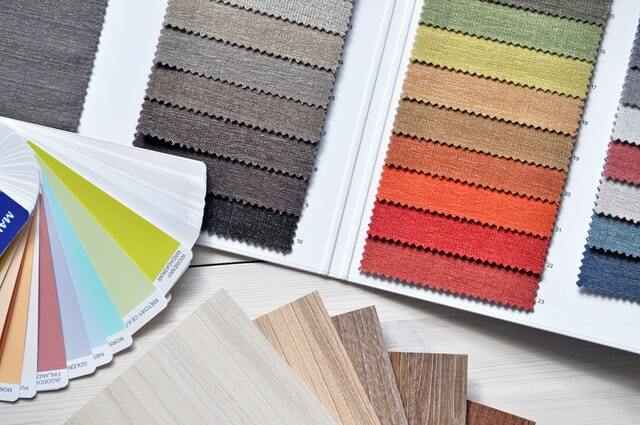 You may love to pick out colors and arrange furniture, but when it comes to home repairs, you may find yourself running to the phone to call in an expert. And while that may suit you for the time being, you may find that it’s much easier for you to work on doing it yourself. Think about it. How much do you tend to spend calling in experts all year long? And how long do you have to wait? Wouldn’t you rather be able to take on the tasks yourself, when you want to do them, and pay as little as possible too? Because you can. Although you’re not going to want to take on every kind of home repair and improvement jobs, because some things will always require the pros, but you should be able to take on a lot more than you currently do. If that sounds good to you and you’re keen to try your hand a few more things around the home, here are ten ideas to get you started. The very first thing you’re going to want to learn to do is to use a hammer. And yes, we’re easing you in slowly. Because working with a hammer and nails is a relatively easy thing to do. You just need to be able to be safe while you’re doing it. 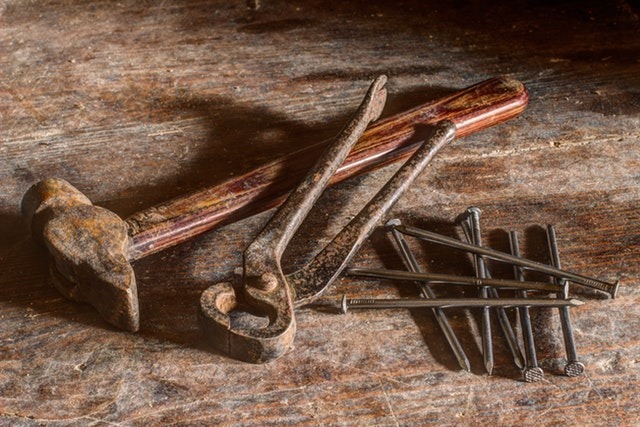 Because hammering in a nail is all about precision and care – or you could hit a finger and cause yourself some pain. But practice makes perfect. And when you start to be able to hand your own pictures and put up your own rails, you’ll feel very proud of yourself. Once you’ve mastered the hammer, you can then graduate on to using a drill. And this is definitely something that will take a lot more work. You may even be a bit frightened of it at first. But you will get there. You’re going to want to pick out the right drill to start with – one that you will feel comfortable with. Then, be sure you read the safety instructions. It may also help you to watch YouTube videos on drill safety, like the one above, just to be sure. Next up, another easy one – paint. 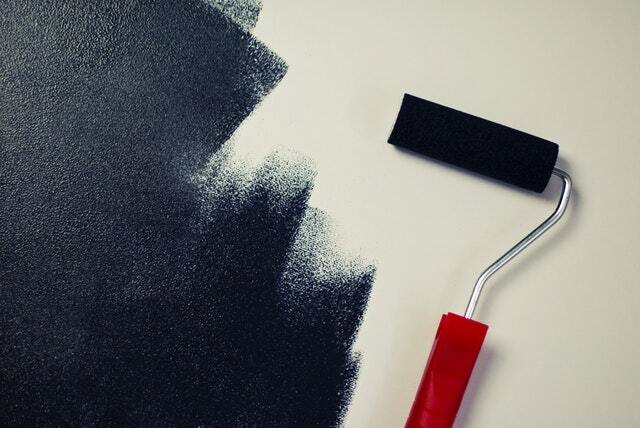 Even if you do paint some of your rooms yourself at the moment, you should definitely get some work in on it. Maybe you hire in painters because you’re awful at cutting in. Well, if that’s the case, you’re going to want to pick some bold paint, pick a room, and get your practice in. Before you know it, you’ll be a cutting in pro! It’s safe to say that the majority of your electrical work should be left to the pros. But, you can get to know it better with a multimeter. You’ll find that the fluke multimeter is one of the best available on the market for when you want to work on bits yourself. Although you shouldn’t get too involved when you’re not trained, this could help you to identify any issues. Do you ever want to just rip out a room and start again? Maybe you’ve got an old bathroom that you’re yet to renovate? Then, you’re going to want to ensure that you learn how to do it yourself so you can get started. But, just like you did with the drill, you need to be safe. So you’re going to want to get to know the safe demolition practices you should stick to when doing it yourself. It’s probably the same with sanding too. Sometimes, you just want to get to work on those floors yourself, rather than have to wait for the pros. And the good news is, you can professional sand floors yourself. Just read up on that post and you should find that you’re able to get it done easily and cheaply. Next up, you should consider giving fabrics a go. If you’ve always wanted to get a vintage chair and replace the fabric yourself, then you’re definitely going to want to learn how to reupholster. It’s one of those things that often sounds as if it’s going to be super hard, but can be a lot easier when you just get on with it. It’s the same with sewing when you want to create soft furnishings too. Next, it’s on to a little bit of wall art – and no, we’re not talking painting this time. If your walls are a bit of a mess, you could learn to repair them yourself. From filling in gaps in the walls to doing a bit of mini plastering, all it takes is a bit of patience and the desire to get it right. And now you’re a pro at sanding, so the rest should be a breeze. And what about tiling? It’s one of those things that we always just assume the professionals have to do. But you could easily take them on too. You may want to read a few articles before you get started, but you’re likely to find that the process is actually quite therapeutic once you get started. Last but not least, we’re going to get you out into the garden too. Because if you’re spending money on gardeners and landscapers on a regular basis, you could learn how to do it yourself and save money. Even if you’re okay with mowing the lawn, you may be a little unfamiliar or not all that confident with using some of the bigger tools, like a hedge cutter. But as with anything else, once you’ve given it a go, you’ll soon feel like a pro.